Often imitated, never equalled. The JET tweeter is synonymous with the ELAC brand. In 1993 ELAC took over the air motion transformer tweeter system from the Berlin speaker company ARES. Over the years this has been fundamentally re-engineered acoustically and its production process optimised. ELAC trademarked the JET name and it is seen as a classic ELAC driver, featured in many of ELAC’s most famous products. In 2005 ELAC coupled the JET tweeter with a midrange driver to produce a dual concentric driver, the VX-JET. The dual concentric driver used in the flagship Concentro loudspeakers is derived from this. The Adante Series presents a clean sheet design unique to ELAC, where technical solutions, precision engineering and superior craftsmanship all come together to create breathtaking loudspeakers that sound like nothing else in the world. Expressing confidence in proven technology and the courage to break new ground – the Adante Series is the result of skilled craftsmanship and a desire to create something extraordinary. It brings together classic virtues of acoustics and aesthetic appeal, yet certain details take a subtly different approach. The advanced design’s precision-built cabinet features Interport Coupled Cavity bass loading to exploit the highest performance from the active and passive bass drivers. The inherent superiority of this design solution delivers some of the most authoritative, realistic bass around. Complementing the custom low-frequency drivers is the all-new concentric midrange/tweeter, a natural-sounding wonder engineered expressly for the range. Debut will change your expectations for affordable speakers forever. Every one of these speakers challenges expectations for how a speaker should look, feel and sound. And most of all, they establish a value proposition – with build quality and spectacular performance – that goes beyond every other speaker in their class. Debut delivers superior performance thanks to custom made key components, with no off-the-shelf parts. Unlike many some brands that mix parts-bin drivers, bare-bones crossovers and generic cabinets, every ELAC speaker is built from a clean-sheet design. The waveguide surrounding the new ELAC silk-dome tweeter features a custom, deep spheroid profile to improve directivity control and shield the dome tweeter from cabinet diffraction modes inherent in traditional box enclosures. Aramid fiber is used for all the woofers of the Debut range. Aramid fiber offers a superior strength-to-weight ratio and improved damping characteristics compared to conventional paper or plastic drivers. This added strength means arriving at designs that achieve a broader bandwidth with smoother response. 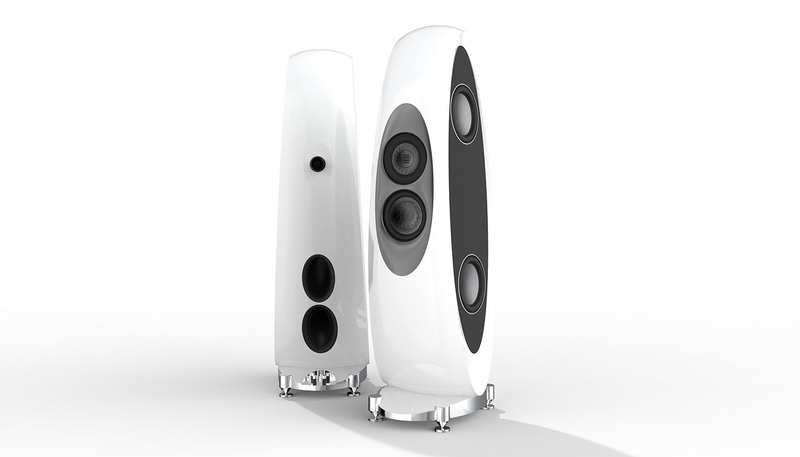 Elegant looks and unrivalled sound – Three way speakers with a custom dual concentric driver. The ELAC Uni-Fi Series is what happens when Andrew Jones accepts the challenge of creating a new range of performers that incorporate a sophisticated concentric driver design for an affordable family of loudspeakers.